Merry Christmas to all Society members and lovers of baseball everywhere. My 2014 Christmas commentary, “Some thoughts on Christmas and team chemistry,” can be viewed in the “Recent Posts” box on the right of this homepage. I wish you all a very blessed Christmas time and safe and prosperous new year. Looking forward to the 2015 season already. 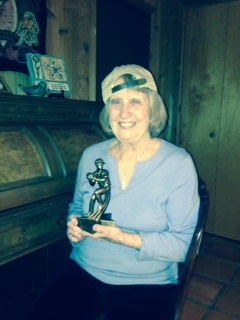 Congratulations to our 2014 MLB champion, Patricia C. Stone, affectionately known as “Grammy.” This year’s competition was “historic” for many reasons. Consider these firsts Pat established: first female B.A.B.E.S. winner; first octogenarian winner; first winner to be a grandmother; first winner to be a great grandmother; first winner from my family (yes, I proudly count my mother-in-law as a member of my family); and finally, first person to win the B.A.B.E.S. championship before ever attending a MLB game! If that doesn’t qualify as a historic victory, history doesn’t matter. In addition to receiving her James L. Walker Award (the “Rocky”) at the family gathering this weekend, I promised to take her to a game next year. HOU plays SFO at Minute Maid on May 12 and 13. That would be an appropriate first game since Pat lived in Houston for 30 years and was the only member who picked the Giants to win the World Series this past season. That seems historically appropriate. For additional historical perspective on Pat’s victory, see my last post: http://babesbaseball.com/2014/11/13/proving-my-point-too-well/. No, I am not talking about last week’s mid-term elections, although if you scroll to the bottom of this page you will see that all the way back on March 30 I predicted that there would be big news inside the Beltway in November. I was half-right, with the voters expressing their views on the performance of our legislators by handing control of the Senate to the Republicans, and half-wrong, with the World Series title returning to San Francisco instead of our Nation’s capital. No, I am referring to the decision of the MLB awards voters which will decide to whom I hand this year’s James L. Walker Award. The Cy Young winners will be announced on November 12 and the MVP winners will be announced on November 13. So by next Thursday night we will know whether Pat Stone is the first female B.A.B.E.S. winner (and the oldest and least-knowledgeable, I don’t think my mother-in-law will mind me saying), or whether we will finally recognize the brightest Society member who has yet to win the title. Marc Whyte has already finished second three times and holds the second highest point-total in B.A.B.E.S. history, but is still waiting to hold his very own Rocky. http://babesbaseball.com/past-champions/. Either way, I am going to enjoy writing the final post about MLB 2014 next week. In the meantime, you might be interested in the ESPN article linked below written by my favorite current MLB commentator, Jayson Stark. Perhaps I like him because we think alike. You will see from the article that he was pondering the same question I was last week when Madison Bumgarner made us forget about Clayton Kershaw. Apparently most MLB team executives have longer memories. So I will wait until the results are official before handing my mother-in-law her own personal Rocky statue, although I did let her hold it briefly during our Halloween party last night. For now I will simply report that she leads with 33 points. Marc Whyte has 21. They both have selected Trout and Kershaw as AL MVP and NL Cy Young, respectively. That should give them 53 and 41 points. Marc selected Giancarlo Stanton as the NL MVP, which could be correct. He also selected David Price as AL Cy Young, which I think is a long shot given Price’s pedestrian work after he was traded to DET, but the award is not out the question. He did lead the league in strike-outs. If Marc scores with each of these picks he would win the Rocky with a record setting 61 points. If either pick fails, Pat is assured of winning with her 53 points. She might even tack on another 10 points if McCutcheon were to report as NL MVP. I will say more about the meaning of her victory when it is final. Madison Bumgarner is 6′ 5″ tall and weighs 235. Impressive, perhaps imposing, but looking at him standing on the mound does not invoke the same reaction as did Randy Johnson, who was 4″ taller and about 100% meaner. The Kansas City Royals, however, no doubt wish they could have faced Johnson instead of Bumgarner. They could not have done any worse. We began this post-season talking about a 20-something mop-haired left handed starting pitcher who could be the greatest pitcher of all time. Now only one month later we know that Clayton Kershaw isn’t even the best pitcher currently playing in his own division. And that would be so even if Kershaw had not been shelled by the Cardinals for the second consecutive post-season and become the only pitcher in LAD history to lose four consecutive post-season starts. Even if Kershaw could trade his post-season ERA of around 10.00 for his career average of around 2.0, he would still not supplant Madison Bumgarner as the pitcher of record. When you have won 4 World Series games and earned a save with an ERA of 0.22 in over 50 innings pitched there simply is no contemporary in the conversation with you. Not anyone pitching today and very few who ever have. On the Fox broadcast tonight Joe Buck, Harold Reynolds and Tom Verducci kept repeating how amazed they were at Bumgarner’s performance. When you see something that has never been done before in over 110 years of baseball, it is only natural to be amazed. And when they start coming up with stats that you share with a pitcher named Cy Young, then you know you are doing something special. Simply put, the special thing Madison Bumgarner did was win a World Series all by himself. Perhaps he was assisted somewhat by Pablo Sandoval, Hunter Pence and Mike Morse (and even Jeremy Affeldt), but anyone who watched the Series will tell you that from their perspective Bumgarner won all four games. He was truly the giant among Giants and, at the age of only 25, is already a giant among all giants of the game. Sorry Clayton, but you are no longer the focus of the conversation about today’s best pitchers, or the only current pitcher in the discussion of all-time greats. I am sure we are all looking forward to watching World Series Game 7 tonight. I have read many commentaries on the drama and excitement that surrounds a winner-take-all contest in which we are certain to witness both the “thrill of victory” and the “agony of defeat.” Which team is going to experience which emotion is truly anyone’s guess, as is the question of whether there will even be any drama. This has been a wacky series with 5 of the 6 games qualifying as blow-outs – each team having beaten the other by an average of 5 runs! 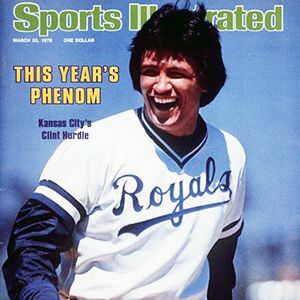 Will 2014’s Game 7 be another blow-out like the 11-0 Royals’ victory over STL in the 1985 Game 7 in Kansas City? Or will we have to stay up late to witness historic finishes like we did in 2001 and 2011? We’ll know in about 8 hours – or perhaps 12. Whether we have a laugher or a nail-biter remains to be seen, but what we know for sure is that the MLB 2014 season will end tonight (assuming no Acts of God or War). This reminds me of the headline in the Dallas Morning News Sports Section back in the late 1980’s when Tracy Ringolsby was a columnist there, before he moved on to the Rocky Mountain Post and then mlb.com and other baseball activities. http://en.wikipedia.org/wiki/Tracy_Ringolsby. Tracy wrote an entire column about how this was, in his opinion, the saddest day of the year because it was the last day of MLB for the year and for over 5 months in total. That thought has stuck with me for over two decades. Of course, the off-season is not quite so bleak these days with cable television, including the year-round MLB Network, and the Internet providing anyone with $100 for a blog site the opportunity to write about baseball (even me). But there is still something diminished about a day without a single major league game to watch, no stats to check and no web gems to review. Therefore, I intend to watch tonight’s game with an added intensity, no mater what the score, storing up baseball kernels for the long winter break ahead. Isn’t that what life is about? Trying to enjoy the moments even as we are aware that they are passing by and understand that tomorrow may not be the same. Do you know the James Taylor song “The Secret of Life is Enjoying the Passage of Time?” If we feel that way every day, imagine how Tim Hudson and Jeremy Guthrie feel right now? It is virtually certain that neither of them will ever start a World Series Game 7 again. Tonight, then, will represent the “pinnacle” of their careers – the highest or culminating point, as of success, power, fame, etc.,” Once you reach the pinnacle, there is only one direction to go, so you better enjoy it while you can. Thrill and agony, victory and defeat, today and tomorrow. How do we keep the sadness at bay? Just tell me when the pitchers and catchers report. http://www.springtrainingonline.com/reporting-dates/. Strike one, strike two, strike three! Are the Tampa Bay Rays out? We take this brief time-out from the World Series to consider the important question posed above. There is supposed to be a team news black-out during the Series but that has not prevented two shocking stories from coming out of Tampa this past week (and, neither of them involved anyone named Steinbrenner). No, it is the Tampa Bay Rays organization that is trending in a major way, and one that recalls its dreadful distant past not its impressive recent history. First, there was strike one – a season that saw the team trade its best pitcher and one of the best in all of MLB leading to a very disappointing 77-win total. Failing to keep David Price and not making the post-season fell well below expectations (I picked them to win the AL, as did many professional sports writers). Trading Price was not so shocking, but missing the post-season was at least very surprising since the team has averaged over 91 wins the past 6 seasons and been in four post-seasons during that time, tops in all of MLB. We have just come to expect Andrew Friedman and Joe Maddon to produce wonders on a budget that would embarrass even Billy Beane. They simply could not do it this year, but that was only the start of the team’ s troubles. Last week Andrew Friedman declined the Rays’ offer of a new contract as Executive Vice President of Baseball Operations and stunningly was hired as the President of Baseball Operations of the Los Angeles Dodgers. It was every small market team’s nightmare, but for TBR it made the count 0-2 in the public “at-bat” that is the struggle to keep MLB in Tampa. Even with Friedman’s enormous success on the field the team has averaged only 20,000 fans/game during those 6 seasons in which they were leading all of baseball in wins. If the team returns to its original futility on the field an already shallow fan base could virtually evaporate. But that isn’t likely to happen because the Rays still have that on-field genius who is universally recognized as one of the best managers (and most interesting persons) on the planet. Even without Friedman, Joe Maddon can keep this team above .500, right? Well, not if he isn’t managing it! For the second time in a week the Rays’ owner had his offer of a new contract rejected. Internal reports indicate that Stu Sternberg simply could not (or would not) pay Maddon the market price. And after several years of working for MLB minimum wage, who can blame Joe for wanting to know just how much money the free market will offer. It is a testament to just how good he is that he had an opt-out clause in his contract (as a manager!) and he was willing to exercise it with only one manager’s job currently open – MIN. Something tells me he won’t be the Twins’ manager next year and that there are several current managers who are feeling additional pressure today. Friedman swears that Don Mattingly’s job is safe for next season, but does anyone really believe that? And if Mattingly starts the season as LAD’s manager, how long will he last if Maddon decides to rest this coming Spring Training? Even if Friedman doesn’t keep his word to Mattingly, there is no question that the real loser in this development is Tampa Bay – the city. The fans have had 16 years now, with six years of amazing on-field success, in which to show other MLB owners that they will support a team. That has not happened. The city leaders have had at least 10 years to solve the dilemma that is Tropicana Field, and that has not happened. Now with the departure of the two recognized architects of their success over the past six years, is it inevitable that the market is dead? The team, which is still a possible pennant contender next year, will certainly attract a quality manager. And the front office was adamant that the existing management team Friedman left behind will handle baseball operations just fine without him. That may be true, but my interpretation of that report was that Stu knows he can’t afford to hire anyone nearly as accomplished as Friedman even if he wants to. The fact is that the Rays organization must be reeling and trouble in the front office rarely translates to success on the field. And winning big has been the only thing that has kept the team in town over the past five years. So, in my opinion, today could be recorded as the day Tampa Bay struck out as a MLB city. It may not happen next year, or even five years from now considering that the team’s lease at Tropicana runs through 2027. Nevertheless, it is entirely possible that the franchise falls into a string of losing seasons, attendance drops even further and the politicians and citizens continue to refuse to fund a new stadium. (Remember Miami?) These events will almost assuredly increase the calls for relocation and at least two markets are sure to be calling Mr. Sternberg who will have every right to move this team. My own city of San Antonio (actually Bexar County) previously offered Jeffrey Loria over $300 million in public financing to move the Marlins here. I’m sure County Judge Nelson Wollf, for whom the Texas League S.A. Missions’ stadium is named, is already thinking about another FL team. (Unfortunately the current civic focus is the Oakland Raiders, but I fully expect that to prove fruitless, and certainly hope so.) The other market said to be a MLB candidate is Charlotte. My brother has lived there for the past 5 seasons and he thinks the money is there to support the move, but I wonder if there is enough to sustain the NFL, NBA, and MLB. And don’t forget that the NHL is only 170 miles away in Raleigh. Selfishly, I am praying for the San Antonio Reys to become a reality. (I may trade-mark that name – “Rey” means king in Spanish for those of you who do not live in South Texas). I would love to see Mr. Sternberg stand side-by-side with Nolan Ryan as co-owners. Nolan already owns the AAA team in Austin and the AA team in Corpus Christi. Wouldn’t it be the ultimate triumph for him to own his own team in Texas and it not be either the Rangers or the Astros? Well, I am getting ahead of myself. We have a World Series to watch and the B.A.B.E.S. champion to crown this Fall. I won’t win this year due, in part, to my erroneous prediction about TBR winning the AL pennant. Perhaps my new prediction about the relocation of the Tampa Bay franchise will prove more accurate. I don’t see how they can survive any more strikes this off-season. The 110th World Series starts tonight in Kansas City, of all places. Who could have predicted that? No member of the Society did. Only one member predicted that the NL participant in the Fall Classic would be SFO, and that member is (as I have enjoyed reporting for the past month), none other than my mother-in-law, Pat Stone. It is odd that no one else selected SFO since they have essentially the same line-up that has won two of the previous four World Series (2010 and 2012). Now we should all be planning to pick them for the NL pennant winner in 2016! Of the 74 selections we made for the AL and NL pennant winners, Pat is the only one to make a correct selection. 1/74 is WAAAAAY below the Mendozo Line (.013 to be exact). That is a slump that could get even a future Hall of Famer sent to the minors. But fortunately the pennant winners and World Series champion are only parts of our competition. The fact is that, overall, we are poised to have one of the highest winning scores ever. The remaining three members in contention, Pat Stone, JW Galloway and Marc Whyte, by my calculation should all finish with over 41 points (.360), assuming as we all do that Kershaw will win the NL Cy Young and Mike Trout will win the AL MVP. In addition to those almost certain winners, these members have other selections that could enable them to break the record of 49 points set by Tony Liccione in 2009. If SFO wins the Series and Andrew McCutcheon repeats as NL MVP, Pat will finish with an amazing 63 points (.553!) If SFO loses, then the winner should be decided by the AL Cy Young and NL MVP races. JW Galloway has Felix Hernandez while Marc Whyte has David Price as AL Cy Young. If neither of them win it but Giancarlo Stanton wins the NL MVP, Marc Whyte could still win with 51 points. Alternatively, if neither Hernandez nor Price with the Cy Young and McCutcheon wins the NL MVP, Pat will win with 51 points. If Price and Stanton each win individual awards, Marc would total 61 points (.535). Still lots of scenarios to follow between now and 3 weeks from now when all the awards are announced. For the next 8 days, however, enjoy the show from the unlikeliest of venues (The K) and the now semi-annual home of the World Series (AT&T Park). The Giants are in the World Series for the third time in 5 years. They have had several players contribute throughout this remarkable run – Posey, Sandoval, Bumgarner, Affeldt, Romo, Casilla – but the only real constant has been the manager. The best managers will say that they get too much credit when his team wins and too much blame when it loses. Nevertheless, it is impossible to watch SFO for an entire post-season series and not notice that every move Bochy makes works. Tonight was just the latest example. Leaving Bumgarner in for 8 innings so he did not go to a tired reliever or put a starter in an unfamiliar position (like Matheny did with Wacha tonight and Ned Yost did last week with Ventura). He also didn’t stick with his closer Casilla in the top of the 9th when he was struggling with the bases loaded. Jeremy Affeldt came in to get the third out and set up up more Bochy magic. In the bottom of the 8th he pinch hit slugger Michael Morse to lead off the inning rather than wait till a runner was on. Of course Morse hits the game-tying home run. Then in the bottom of the 9th Travis Ishikawa came to bat. He could have been removed for a defensive replacement in the top of the inning, particularly since he was only in his 10th game ever as MLB left fielder and he had misplayed a fly ball in the first inning that allowed a run to score, and the fact that he had played more games in the minors this year than the big leagues. But no, Bochy leaves Ishikawa in and he imitates Bobby Thomson in 1951 by hitting a pennant-winning home run. Well done, Travis. Remarkably well done, Bruce. “Royals” – Let them live that fantasy! With three teenagers at home, I hear a lot of music that I don’t particularly like. None of my kids love jazz or classical like I do now, and only my 13 year old son has discovered the brilliance of the 70’s and 80’s music that I loved as a teenager – The Doobie Bros., Boston, the Cars, Journey, Queen. Only on very rare occasions when I hear a tune that my daughters like will I have any desire to hear it again, (most of the time I don’t even want to hear it all the way through the first time). One of these rare events occurred last Fall with a song by a teenager from New Zealand who goes by the name Lorde. It is titled “Royals” but is anti-establishment in tone and lyrics, intending to draw an everyman contrast with all celebrities of natural birth or media invention. However, although they “don’t come from money” (19/30 in payroll), with 8 consecutive wins to start this post-season KCR’s proletarian players have “cracked the code” and are headed to the World Series. They are already “bigger than they ever dreamed” but with only 4 more wins they will, in reality, “live that fantasy” of every Little Leaguer – ruling MLB as the World Series Champions. We didn’t come from money.But every song’s like gold teeth, grey goose, trippin’ in the bathroom. We aren’t caught up in your love affair.And we’ll never be royals (royals). I have said over the past week that KCR and BAL have made watching the MLB post-season fun again. I believe this is true in large part because we just haven’t seen post-season baseball in either city’s beautiful ballpark in so long – 1985 for Kauffman Stadium and 1997 for Camden Yards. Certainly the excitement in both parks over the past 10 days has been electric and it can’t just be the result of being in the post-season. Did you notice how dead it was at Comerica Park in Game 3 of the AL Division Series? DET fans certainly turn out in large numbers – averaging nearly 3 million for the past 4 years when the Tigers made the post-season. But perhaps the lingering effects of 3 straight disappointing endings and the likelihood of a fourth took the joy out of the experience for DET fans. No, the joy in BAL and KCR was clearly derived from the length to time since their hometown teams had last been in the post-season. That joy will certainly be on display in a few hours when the game gets started in Camden Yards. I don’t have a favorite team in this series but as I said earlier in this space, I hope one of them goes on to win the World Series. Either returning the Commissioner’s Trophy to the heartland or to the back bay where we just celebrated the 200th anniversary of the poem we sing as our National Anthem would be a fond ending to the baseball season. I expressed my opinion on Wednesday that it is time for someone else to win the World Series. STL is seeking its third title in nine seasons and already has the second most championships and appearances behind NYY. They are way behind NYY – 40/19 in appearances and 27/11 in titles – but still the combination of historical and recent success makes me want to pull for their opponent (I even found myself pulling for LAD!). I know St. Louis is a great baseball town – averaging well over 3 million fans the past 4 years in a city with a population of just over 300,000! Ok, the metro area is 2.8 million, but still the attendance figures are impressive. That makes me appreciate the team but still doesn’t change my desire to see someone new in the World Series for the NL. “Contempt” is defined as “the feeling with which a person regards anything considered mean, vile or worthless….” II can say that I feel that way about either STL or SFO so I guess I will just chose to be fonder of either BAL or KCR than I am of either STL or SFO. Although, I am rather fond of my mother-in-law, so I will at least be pulling for SFO in the NLCS. Play ball! (a clichéd way to end a column on baseball). I know, you are thinking there are actually only four teams left out of the ten that made it into the MLB championship tournament. That is true, but the number that really interests B.A.B.E.S.’s members is the number of them who are still in the running for the 2014 James L. Walker Award, affectionately known as “The Rocky.” That number, by my reckoning, is six. I am not a statistician, but by my analysis of the various scenarios following the completion of the Division Series there are only 6 members out of the 37 who participated this season that could still win the Rocky. My hope is that it will still be decided by the outcome of the World Series, as I suggested back on September 29, but with the collapse by DET, LAA, LAD, WAS and OAK, that is much less likely than it was last week. With only STL and SFO still alive, I believe my mother-in-law, Pat Stone, is the only member who may prevail based on the World Series outcome (if SFO wins). No one picked either KCR or BAL and four who picked STL are still in the running. If STL simply gets to the Series, I believe the winner will be decided among Tom Marchiando, Tony Liccione and Madison Stone based on their individual player predictions. If SFO wins the NLCS but does not win the Series, then it should come down to the individual player predictions by J.W. Galloway or Marc Whyte. Did you follow all that? Please let me know if you see any different possibilities. Still much baseball to enjoy, but can I suggest that we all become AL fans for the rest of the month? Wouldn’t it be good for baseball if BAL or KCR regained possession of the Commissioner’s Trophy after 3 decades? STL and SFO are starting to feel like NYY and BOS to me. I will elaborate on that tomorrow before the League Championship Series begin. Star-studded DET and LAA were both involved in sweeps in the AL Division Series round of the post-season. No surprise there, right? With Scherzer, Verlander and Price starting for the Tigers (and Anabel Sanchez relieving), a sweep is almost to be expected. For LAA, Weaver is a star, Wilson has pitched terrific in past post-seasons and Shoemaker just won 16 games as a rookie (and they have that guy named Trout). So an Angel sweep would be based on more than a prayer. Certainly BAL and KCR weren’t considered pushovers, but no one would have been surprised if LAA swept the Royals and few would have been if DET had swept the Orioles. Well, have you ever heard the cliché: “That’s why they play the game? Many of these guys were themselves sweepstakes prizes as free agents. Collectively, they are owed well over $1 billion under their contracts, but they could not produce a single win against players named Norris, Tillman, Aoki, Flaherty, Ventura, Pearce, Cain and Perez (Salvador, not Tony) – names that sound more like “grab-bag” prizes. These types of results are why we enjoy baseball so much. There is no other sport where the outcome is so unpredictable, either in individual performance or team results. In a poetic irony, certain MVP Mike Trout ended both Game 2 and Game 3 by striking out! He did get one more hit in the series than Hamilton, but that was the only hit LAA owner Art Moreno got for the $270 million he has invested in Trout and Hamilton. Money may buy you a sweepstakes ticket, but it doesn’t guarantee a victory (not even one). Everyone knows the old adage that pitching and defense win championships. Game 1 of the AL and NL division series yesterday provided new evidence to support that premise. KCR beat LAA in extra innings only because they made several sparkling defensive plays. Well, in the case of Nori Aoki the better adjectives might be “circus-like” – more amusing than graceful. Lorenzo Cain, on the other hand, exhibits pure athleticism in centerfield. Although their pitching was excellent, without Cain’s and Aoki’s four catches in center and right field, the Royals would not have made it into extra innings where another unlikely hero emerged, Mike Moustakas. He is the third baseman, but when your 9th place hitter hits the game winning home run in the 11th inning, you have to consider that unlikely. However you describe their performance, you have to admit that the Royals are fun to watch. Whether they are stealing bases when 4 runs down or catching every ball hit anywhere, they keep the game interesting and fun. In stark contrast, DET’s bullpen can’t be fun to watch for Brad Ausmus or anyone pulling for the Tigers. I found it painful to watch and I am pulling for BAL! During the regular season, DET gave up more hits from the 7th inning on than any other team in MLB. Yesterday was no different with BAL scoring 8 runs in the 8th inning. The Tigers may have the best starting rotation (although Scherzer was not sharp either), but pitching includes a team’s bullpen and this one does not appear capable of winning a championship. After Game 1, Chamberlain’s ERA is infinity, Soria’s is 108.00 and Coke’s is 27.00. Some figures don’t lie. The lack of experience or notoriety did not prevent the Royals from overcoming a seemingly insurmountable 4-run deficit against Jon Lester in the 8th inning (much of it brought on by some inexplicable managing decisions by Ned Yost). The Royal blue came through in the 8th, 9th and 12th innings to make princes of Billy Butler, Eric Hosmer, Brandon Finnegan and Salvador Perez well after midnight Tuesday. How can you not pull for these guys as they now go to Disneyland to face LAA? We can’t let a team that was once owned by Disney kill Cinderella, can we? 2. A Beautiful Mind may be aging. At the end of the movie Moneyball, after the A’s have washed out of another post-season, the voice of Joe Morgan-like commentator is heard saying that “you can’t build a play-off team with computers.” Well, it is now over a decade later and the A’s are still looking for post-season success – even after Joe Morgan got fired as a commentator. They have lost seven consecutive elimination games! And this year the swoon started in August right after Genius (my term, not his) GM Billy Beane traded Yoenis Cespedes for Jon Lester and Johnny Gomes. Did Beane outsmart himself this year or was Joe Morgan right? Can Sabremetrics carry a team through the World Series? Will Beane – or his owner – be forced to rethink the approach? Or did they violate their own principles by trading for Lester and Samardzija and Hammels? There has to be a lot of self-doubt in the OAK front office tonight – a beautiful mind is a terrible thing to doubt. 3. These Giants are not sleeping. After a wildly erratic season in which they went 25 games over .500, then dipped below 5 games over, SFO had to go on the road to play the red-hot Pirates in the NL Wildcard game. Does the fact that it is an even year and now October explain how easily the Giants defeated PIT tonight? A routine (dominating) shut-out by Bumgarner was supported by the first grand slam by a shortstop in post-season history. (Think about that: not Honus Wagoner, not Pee Wee Reese, not Cal Ripken, not Barry Larkin, not Derek Jeter, but Brandon Crawford!) It must be the even year on the October calendar that makes SFO play like their nickname (2010, 2012, 2014?) (Remember Marco Scutaro?). In total contrast to OAK, SFO has now WON 7 consecutive elimination games. Do people stay up later in The City than they do in the East Bay? Duh. The first returns are in for this year’s predictions and several of you have much to be proud of. Fourteen members picked at least 7 of the ten teams qualifying for the post-season and four members picked 7 of the teams in the correct division-winning or wild card spots. Congratulations to JW Galloway, Ray Mileur, Walter Stone and Marc Whyte for that excellent start, and special recognition to JW for getting one additional point by also picking OAK to win the AL West. That didn’t work out but the A’s did just sneak into the 2d Wild Card spot. Eight out of ten picks for a total of 22 out of a possible 30 points is exceptional. Well done, JDub! However, there is so much left to be decided. Although no one correctly selected either batting champ (Altuve and Morneau prove that this continues to be the hardest selection to predict), many of you are assured of points in the individual awards. There are several who selected both Kershaw and Trout who appear to be certain winners in the NL Cy Young and AL MVP races, respectively. Some of these members also selected Felix Hernandez or David Price as AL Cy Young, so there is some potential for additional points there. No one selected Kershaw as NL MVP, which appears likely now, but only Marc Whyte picked Mike Stanton (who is the other obvious contender) so many of you may want to pull for Kershaw…. LAD is the next popular choice and if they manage to win their first MLB championship since the year of Kirk Gibson (1988), then I think Marc Whyte will finally win his first B.A.B.E.S. championship after twice being runner-up. If WAS wins it (as I predicted), JW should take the title. If, by some miracle< OAK overcomes the mistake Billy Beane made in trading away Yoenis Cepsedes and actually wins a world championship for Moneyball Man, Matt Bardwell may claim the title after a near win last year. Of course, something completely different may occur and perhaps you are plotting your post-season path to the Rocky right now. Please review your totals at the link below and let me know if you see any errors in my tabulations. Then sit back and see what happens on the field. Today is the scheduled end of the MLB regular season. It may not be the actual end of the regular season as there are three possibilities for a play-off game tomorrow. We’ll know by early evening but even before those answers come in, there are a few questions we can ponder now and may continue to ponder into the post-season (and even into the off-season) for each MLB division. 2. LAA has the best record in MLB. How good would LAA be if either Albert Pujols or Josh Hamilton were actually playing like Albert Pujols or Josh Hamilton? 3. Will either BOS or NYY make the post-season next year? This is the first time since 1994 that neither made it, and I’m betting on the continuation of a new streak. 4. Parity? WAS leads the NL East by 17 games! BAL and LAA each won their divisions by over 11 games. WAS also just finished the regular season with Jordan Zimmerman throwing a no-hitter against MIA, turning the tables on the Marlins who no-hit DET on the last day of the regular season last year. And in the “that’s just weird” department: Henderson Alvarez, who threw the no-hitter for MIA to close the season last year, was the losing pitcher today against Zimmerman’s no-hitter. The score in both games? 1-0. 5. Is Clint Hurdle underrated as a manager? He now has taken COL to the World Series and brought PIT to the post-season for the second consecutive year. As I said last year, perhaps he is destined to live up to that Sports Illustrated cover story after all, just as a manager rather than a player. 6. 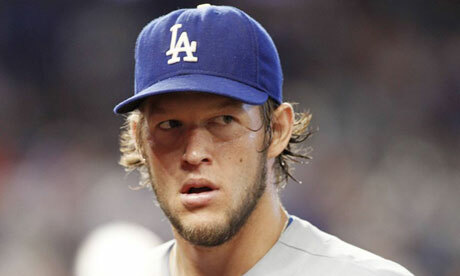 Can Clayton Kershaw atone for his post-season debacle last year against STL? We’ll find out on Friday. 7. When and where will Derek Jeter get the final hit of his remarkable career? Today in Fenway Park. (If not Yankee Stadium, can you think of a better place?) http://m.mlb.com/news/article/96796054/derek-jeter-batting-second-playing-designated-hitter-for-final-game. MLB Remembers One of The Most Important Days in American History, Today and Every Day! Today is the 200th anniversary of the writing of a poem originally entitled “The Defense of Fort McHenry.” We now know it as the “Star-Spangled Banner” and it will be sung before every baseball game played today just as it has been sung before most games since roughly 1942. It became the national anthem in 1931, but wasn’t a fixture before ball games until adopted during the dark days of WWII as an encouragement to the citizens at home. Whatever you may think about the words (the idiom is certainly outdated) or the tune (yes, it was a drinking song), and regardless of how much you might prefer “God Bless America!” or even “America, the Beautiful,” the fact is that neither of them – or any other song – depicts a more poignant moment recalling an event that perhaps saved the country. You may not remember your 11th grade American history very well, and it may not have even been covered, but on the night of September 13, 1812, the American experiment in democracy was very much at risk. The upstart country had rashly declared war on its former father land over the rights to international waters and the sovereignty over sea-going vessels. In response, the British forces (probably looking for revenge for the Americans’ successful Revolution) used a large fleet to attack the U.S. mainland. There was little resistance and the British fleet and ground troops quickly captured and burned Washington D.C., sending President Madison and Congress fleeing into exile. Through the dawn’s early light he could still see the star-spangled banner that he had last seen at the previous twilight and through the rocket’s red glare and the bombs bursting in air during the night. He was obviously inspired by the sight, as we should still be today. Fortunately for us, we witness the answer to Scott’s question not from a prison ship or during an enemy attack, but from government buildings, schools, businesses, and even my own backyard in San Antonio this afternoon. If you can’t see a game today, perhaps you enjoy this link to one of my favorite performances before a game. I would like to hear about your own favorites. As you enjoy the unofficial end of summer (and a holiday somewhere in the U.S. since 1882), take time to reflect on the importance of workers. In a capitalistic society, a successful relationship between labor and management is essential to economic success. Management must make shrewd operational decisions within the company’s cost structure. Those decisions, however, can only be successful if workers are, first, willing to perform within the amount allocated for wages and, secondly, able to implement effectively the decisions of management. In other words, there is no “shrewd” manager (or successful owner) without affordable, skilled workers performing at the peak of their abilities. For a look at the consequences of the absence of any of these elements, see this article: http://www.history.com/topics/haymarket-riot. As the article attests, many people have died in this country striving to balance the interests of labor and management. Many, many more people have died in other countries in the same struggle. France, Russia and Germany are just three notable examples. B.A.B.E.S. focuses, of course, on the labor of the MLB players and the management of the 30 teams, which most people would not view as an appropriate industry to include in life and death struggles. However, as I have articulated in this space previously, the past twenty years of labor relations in MLB are a template not just for American sports business, but for the American government as well and perhaps governments all around the globe. As you may recall, or will see for the first time, I credited Marvin Miller (labor) and Bud Selig (management) equally for the enormous success baseball has enjoyed since the last work stoppage in 1994. 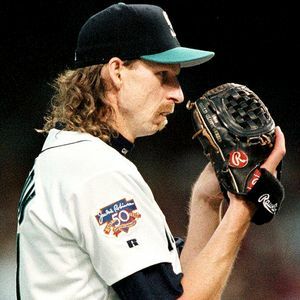 Miller gets the credit for events leading up to 1994 and Selig for those after the strike was settled in 1995. The balancing of power between players and general managers, and the sharing of revenue between players and owners, has facilitated a new golden age of baseball – one that is so enduring that it survived an even greater test than a player’s strike – wide-spread use of performance enhancing drugs even by the sport’s greatest players. I hope that MLB commissioner-elect Rob Manfred and first-year MLBPA Executive Director Tony Clark (the first former player to hold that position) will heed the example of their predecessors. History suggests that they will. Manfred has been intimately involved in MLB’s labor negotiations over the past 15 years. Indeed, the principal opposition to his candidacy for commissioner came from owners who reportedly feel that he was too soft in these negotiations. Clark has worked for the MLBPA since 2010 and was an active participant in the 2002 and 2006 labor negotiations as a player representative. That bodes well for an extension of the past 20 years of MLB labor-management cooperation when the current collective bargaining agreement expires in 2016. The players’ quick ratification of the recently increased penalties for PED use (a process in which Tony Clark was actively involved) also indicates that baseball’s labor and management still understand that working together accomplishes more than working against each other. But the definition of “working together” must be “recognition that the interests of all parties must be respected” and a solution must be reached that is satisfactory – and perhaps even unsatisfactory – to all. As the product of a mixed marriage (my father was management and my mother was labor), I have empathy for both sides. This is why I have spent most of my 30-year professional career advising clients that the shrewd approach is the one that takes into account the interests of all parties to a transaction. Whatever your personal viewpoint may be, I hope that you will take some time this weekend to consider MLB’s success in labor relations and recognize the role that success has played in the overall success in the sport. One small statistic I learned this week while watching my second favorite sport, tennis, should warm the heart of any player. It was reported this week at the US Open that the 32nd highest earning tennis player made $750,000 last year. The 32nd highest paid baseball player made $16 million. And lest that figure upset the owners, please recall that LAD sold in 2012 for $2.1 billion. See what success labor and management cooperation can bring in a capitalistic society? Happy Labor Day. The 2014 non-waiver trading deadline may be considered historic. Has there ever been a year when the two best left-handed pitchers in one league (and two of the top 10 pitchers in MLB) changed teams on the same day? DET’s trade for David Price and OAK’s trade for Jon Lester add to two pitching staffs that were already among the league’s best. DET now has three Cy Young winners in the rotation! (But did that work for PHI in 2011?) OAK now has a proven post-season star who might be the difference if they have to meet DET again this Fall – having lost to them each of the past two post-seasons. OAK gave up an impressive hitter in Yoenis Cespedes, but don’t underestimate the impact on DET of losing Austin Jackson, its starting centerfielder for the past five seasons. Remember the mantra that “pitching and defense win championships.” Adding Price improves DET’s pitching every fifth game, but does losing Jackson weaken the defense every game? OAK does not have that great a concern about moving Cespedes out of left field. These teams weren’t the only ones to give up position starters for pitching. STL traded its starting right fielder and pre-season MVP candidate, Allen Craig, as well as sometimes starting pitcher Joe Kelly for John Lackey. Lackey has had a better season than expected, but can he seriously impact a post-season, or even the pennant stretch? Seems unlikely to me. Several other deals will get less attention but may be more likely to make a significant impact on the season. NYY traded for Martin Prado and Stephen Drew. Those could be the long-awaited answer to the question I first asked last December: “who is going to play third base and second base for the Yankees?” I am surprised that Cashman did not obtain another pitcher, but with his luck whoever he traded for would probably also get hurt. Nevertheless, NYY is still in the race, and let me admit here and now that I have actually found myself pulling for them since the All-Star break. Who doesn’t want to see Derek Jeter play at least one more post-season series? The very surprising Marlins got three players from the somewhat surprising Astros. I would like to say that this could make the Marlins this year’s amazing turnaround team, but I don’t know enough about these guys to speculate. I’ll just say that I am also pulling for Miami to win in order to vindicate the underappreciated Jeffrey Loria. Finally, I have to offer condolences to TBR, the team that I predicted would win the AL. They lost the best pitcher in the franchise history in David Price. TBR has improved from 18 games under .500 to just two games under in the past month. A post-season spot was no longer a dream, but it may be again without Price. The players they received, pitcher Drew Smyly and shortstop Nick Franklin, do not engender much excitement. Chances are it will be a pretty somber clubhouse in St. Petersburg tomorrow night when the Rays play LAA. This will be a major test for the Joe Maddon, who we all know is capable of meeting any test. It will be very interesting to watch how TBR responds. In a personal note that could be more than coincidental, I traded cars today – exchanging a 2012 Jeep Wrangler Rubicon for a 2011 Jeep Wrangler Sport. On paper and to most observers (my family and neighbors), this seems like an odd trade. However, I had my personal preferences and goals to satisfy – just like the General Managers of several MLB teams. Only time will tell which of us made savvy decisions, but I can say so far that I have had a blast in my new (or just different) ride. Nothing more to say about this phenomenon other than that the harder teams try to keep their players healthy, the more the players seem to get injured. Clearly no one in MLB heeded the message in my last post: http://babesbaseball.com/2014/05/23/lets-be-careful-out-there/. 1. Did any one anticipate that a third of the way into the schedule the Houston Astros would have more wins than the Tampa Bay Rays? (24/23). NO WAY! 2. Why should one of those franchises be considered on the rise (HOU) while the other is teetering on the brink of disaster (TBR) when they both are on pace to win fewer than 70 games? IT’S ALL A MATTER OF EXPECTATIONS. 25 OF US PICKED TBR TO BE IN THE POST-SEASON. NO ONE PICKED HOU. 3. And did anyone guess that the Miami Marlins would be 3 games over .500 (31-28) while the World Champion Boston Red Sox would be three games under .500 (27-30)? OF COURSE NOT! 4. Does that make Jeff Loria a better owner than John Henry? (I have previously observed that they are equally adept: http://babesbaseball.com/2012/11/20/jeffrey-loria-deserves-some-love-and-respect/. 5. Did anyone see the Toronto Blue Jays rising to the top of the AL East and perhaps becoming 2014’s version of the 2013 Red Sox? (Worst to World Champions!) WELL, ONLY TWO OF US PICKED TOR TO MAKE THE POST-SEASON – MY WIFE AND MY MOTHER-IN-LAW! NO ONE PICKED THEM TO WIN THE WORLD SERIES. 6. It is still early, but will SFO hold onto its 6.5 game lead in the NL West over LAD and make fools of the 28 of us who bought into the Dodger hype? ONLY THREE OF US PICKED SFO: MY SON, MY DAUGHTER AND MY MOTHER-IN-LAW! 7. Am I the dumbest member of my family or just an excellent teacher? No, I’m not talking about the 140th running of the Kentucky Derby tomorrow in Louisville. I’m talking about the 138th season of professional baseball as we know it today (the NL was formed in 1876 and the AL began in 1901). Of course, the analogy to horse racing isn’t very applicable because we all know that the baseball season is a marathon, not a sprint. The record time for a Kentucky Derby winner is 1 minute, 59.40 seconds run by the immortal Secretariat in 1973. That race is 1.25 miles. Even the Belmont Stakes, which is the longest thoroughbred race at 1.50 miles, took the great Secretariat only 2:24 to complete (also a record) while winning by 31 lengths! Take a look at this video for one of the greatest sporting achievements of all time: http://www.youtube.com/watch?v=vfCMtaNiMDM. You can fast forward to the 2 minute mark to see the astounding margin of victory. Unfortunately, there is one aspect of the Sport of Kings today that mimics the National Pastime’s recent years. See the attached article for new controversy surrounding tomorrow’s race over the use of PED’s by some trainers and the uproar about it even though there are no restrictions against them currently in force. Sound familiar? Fortunately for us baseball fans, significant actions have been taken to cure baseball of the PED illness. The problem exists, but even the most cynical observer would have to admit that progress has been made. The MLBPA’s willing to consent to a modification of the current penalties. When the players realize that they are being harmed by cheaters and are willing to work to eliminate the benefits of PED use, times have changed indeed. http://www.cbssports.com/mlb/eye-on-baseball/24504793/mlb-mlbpa-announce-upgrades-to-joint-drug-agreement. http://mlbplayers.mlb.com/pa/pdf/jda.pdf. So, on this encouraging note, we can return to my opening announcement and observe that the MLB teams are out of the starting gate and heading toward the quarter pole. As in a race, the early positioning is rarely indicative of the final results. However, if the post-season were starting based on today’s standings, there would only be a few surprises: In the NL, STL would be out and MIL would be in. In the AL, NYY would be in and BOS and TBR would be out. http://mlb.mlb.com/mlb/standings/. Personally, the only surprise to me is MIL’s 20-9 start. The rest of the teams are performing around expectations – some above and some below, but within tolerances at this early stage. It seems unlikely that the Brewers will keep up that pace but there were a few observers who predicted that this team could gel. Only Pete Hosey among our members picked them to make the post-season, but it is way too soon to declare him a genius. I remember a few years back when the Astros were 10 games over .500 after only 30 games and ended up with a losing record. Conversely, we all remember that in 2005 they were 15 games UNDER .500 after 45 games and finished the year as NL champions! So, feel free to tune into the Kentucky Derby tomorrow for an exciting two minutes, but then return to the leisurely daily excitement of sport’s greatest game. Big News inside the Beltway in 2014! The off-year elections will not be the big news in our nation’s capital this Fall. My prediction for the 2014 World Series champion is the Washington Nationals. Hail to the chiefs! And I am not talking about the Redskins. Here are the rest of my predictions. All members’ predictions are available for viewing on the “MLB Competition 2014” page.